Headline translation: Average is not enough. 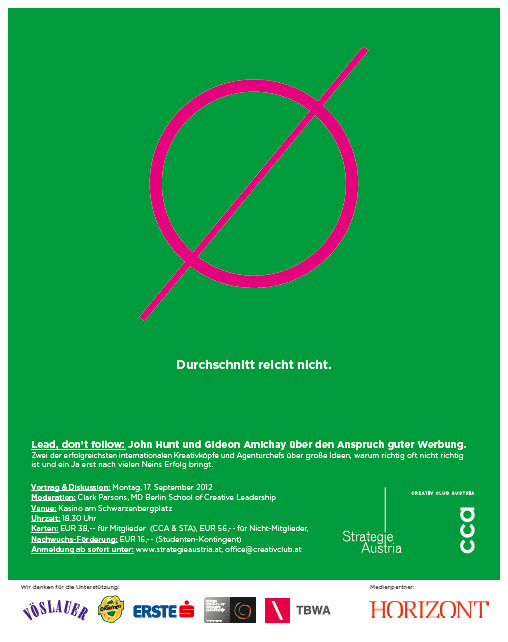 I’ll be in Vienna, on Monday September the 17th. Headline translation: Average is not enough.